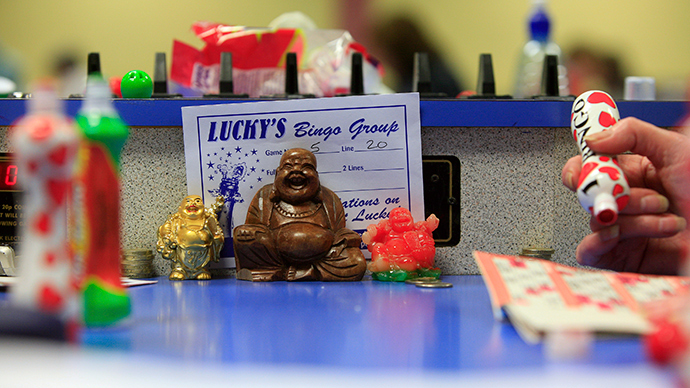 As new police figures show hard drugs are commonplace in UK schools, an investigation reveals that more than half of UK bingo halls are awash with narcotics. The schools data is from 34 different police forces and dates back to as far as 2011. It was accessed under Freedom of Information (FoI) requests. Cannabis was the most commonly encountered drug with 625 cases, while cocaine was found in 27 incidents. LSD, speed and ecstasy were also found. In a number of cases – two each in Manchester, the East Midlands and Surrey and one in Gloucestershire – heroin was discovered in schools. The highest number of incidents was in Hampshire with 229, followed by Avon and Somerset with 144. On three occasions children under 10 were caught with cannabis, while most of the cases of possession were concentrated in the 15-16 years age bracket. Non-students were also caught out. A groundskeeper and a cleaner were caught with cannabis, as was a 19-year-old mother from Leicester who had brought hers on to the school premises. “Any incident of drugs on school premises is worrying, as it will often only be the tip of the iceberg of what young people are encountering on the streets. Teachers and school leaders are always alert to the potential for young people being involved in drug or alcohol abuse,” the NASUWT teaching union’s Chris Keates, told the Guardian. Meanwhile, swabs taken at UK bingo venues showed that half of those tested had traces of class A drugs – including one example where crack cocaine was found. The investigation, carried out by the Sun newspaper, comes as Public Health England reported over 600 pensioners are being treated for drug addiction – a 20 percent rise on last year. “There is no doubt that illegal drug use is rising in the older age group,” Dr. Sarah Wadd told the newspaper.